Citizenship refers to the status of being a citizen of a particular country as per the laws of that country. 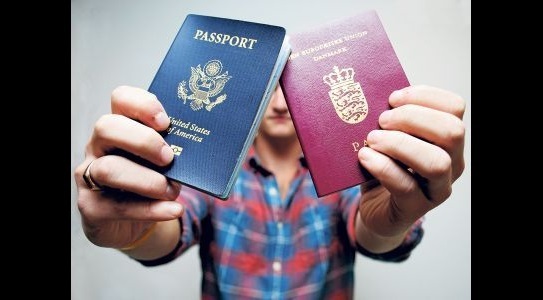 A person who holds dual citizenship is considered to be a citizen of two countries at the same time. Dual citizenship can be acquired through several ways including by birth, by marriage, by investment or naturalization. As a dual citizen, you are normally bound by the laws of your host country. Your rights and status while in another country will remain inactive and will be reactivated once you move back to live in your host country. This is referred to as dormant citizenship. Some countries do not allow dual citizenship and you might be required to renounce your existing citizenship in order to be allowed to become a citizen of another country. 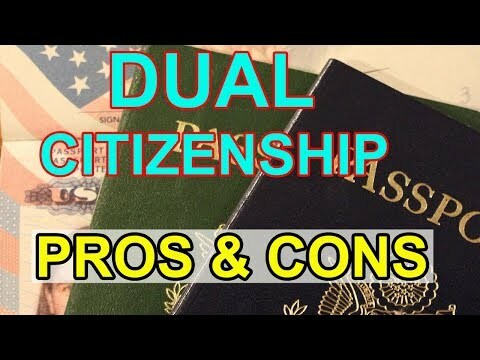 Different countries have different laws regarding how you can acquire dual citizenship and it is very important for you to check how these laws can affect you before applying for dual citizenship. The process of applying for dual citizenship also varies from one country to another. In some countries it might take a very long time as compared to other countries. As a dual citizen, you are required to produce the passport of your host country as opposed to a foreign passport when entering or leaving the country. Since countries differ in terms of culture, laws, climate and religion, it is important for you to put into consideration some of these factors before applying for dual citizenship. This will ensure that you make the right decision on which country they will be comfortable to live in. The timeline for applying and being granted dual citizenship differs from one country to another, making it very important to consider the time it will take before you are lawfully recognized as citizens of another country. Before applying to be a citizen of another country, it is advisable to know if it is affordable for you to become a citizen of that country. In some countries, it is very expensive to apply for dual citizenship due to the nature of paperwork and procedures undertaken to apply for dual citizenship. Some countries allow inclusion of some members of the family like spouses, children or dependents when applying for dual citizenship at no extra cost. Before applying for a second citizenship, you have to ensure that you do not have previous disciplinary issues with your previous country as this may prevent you from being granted dual citizenship. Past criminal records like theft conviction, drug related crimes, violence and terrorism play a huge part in being denied the chance of becoming a citizen of another country. A dual citizen will always enjoy most of the benefits and privileges that come with being a citizen of each of those countries. This means that you can work in both countries without the need for having a work permit and even study with local tuition rates. As a result of having two passports, it becomes easier to travel between the two countries without having to undergo the difficult and lengthy time of applying for visas. Due to the abundance of business opportunities in various countries, dual nationality can open doors to new entrepreneurial options, helping you to fulfill your dreams of expanding a businesses to a global scale. In case you live in a country that is at a risk of violence or discrimination, acquiring a second citizenship can help in escaping from a country that is burdened with danger. Dual citizenship can at sometimes happen automatically. For instance, when a child is born in the United States by foreign parents, he or she is considered a US citizen. Other times, the process can take several years and can also be very expensive. For example, to become a citizen of the United States, you must live in the US as a permanent citizen continuously for five years or three years if you are married to and living with a US citizen. Also, the cost of applying for permanent residency is very high. Double taxation is also another drawback. For example, taxes are imposed to all US citizens for all their income no matter the country where the income came from; if you are a US citizen living in a foreign country, you might owe taxes to the United States beside to the country where you earned the respective income. As dual citizens, you are bound by laws of both countries. If you are a US citizen and a country with mandatory military service, you can lose your US citizenship under certain circumstances. There are several ways of acquiring a second citizenship. This is whereby a child acquires the citizenship of his or her parents regardless of where they are born. This type of citizenship means that a person is considered a citizen by residing in that country for a given number of years as a permanent resident. For example if you have lived in the US continuously for five years, you become a naturalized US citizen. A foreign national can also acquire a second citizenship by economically investing in another country. However; this can be an expensive way since some countries have set very high minimum investment amounts to be considered for citizens of another country. Some countries give citizenship to people who have married their citizens by fast tracking the process of neutralization. Just the same way you can acquire dual citizenship through different ways; you can also lose your dual citizenship, usually by renunciation which is done voluntarily by an individual, or by denaturalization, meaning forceful loss of citizenship done by the state. Owing allegiance to another country; this means working for the government of a foreign country or serving in the military of a foreign country. Voluntary loss whereby you formally reject or abandon your country due to one reason or another. Treason –you can also lose your dual citizenship if you are found guilty of making war or assisting a foreign country to make war with their host country. In case of irregularities or fraud during the process of naturalization. Prolonged absence. In some countries, citizens who are absent for more than ten years risk losing their citizenship. Holding dual citizenship has a number of benefits. These include owning properties in both countries, ease of travel between the countries and being able to work without restrictions in both countries. However, there are downsides that might be associated with dual citizenship such as being vulnerable to double taxation, the tedious and costly process of acquiring dual citizenship and also by becoming bound by laws of both countries. Since matters to do with dual citizenship can be complicated at times because the regulations regarding the matter are different from one country to another, it is advisable to first consult with experts like citizenship lawyers and tax accountants before opting for citizenship in another country.